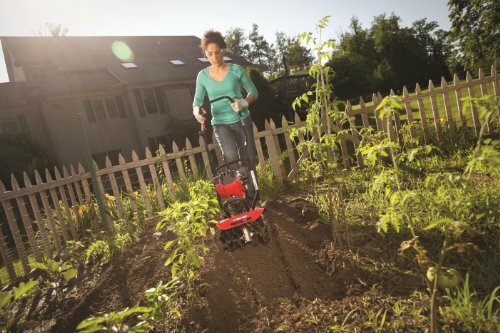 The Troy-Bilt TB146 EC 29cc 4-Cycle Cultivator is powerful and versatile, designed to cultivate flower beds and vegetable gardens to ensure the best lawn care. This cultivator is equipped with SpringAssist technology and JumpStart capability in the engine to make starting easier. The 29cc 4-cycle engine powers a die-cast 40:1 gearbox which turns six premium eight-bladed tines. The tines can be adjusted to cultivate rows in widths of 6 inches, 9 inches and 12 inches and a depth of 5 inches. 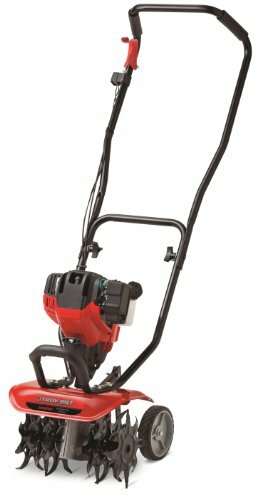 The unit has premium tines that have been engineered to dig, tear and turn soil and will help keep your soil prepped and your plants green year after year. 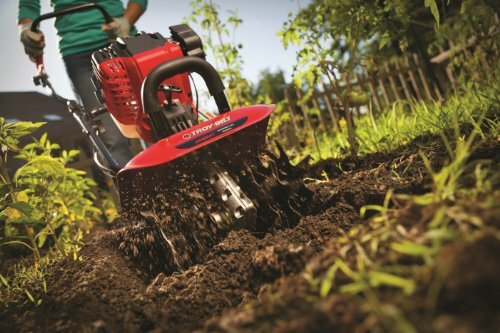 The Troy-Bilt TB146 Cultivator is lightweight and compact for quick storage and the transport wheels allow for easy maneuverability and transport. 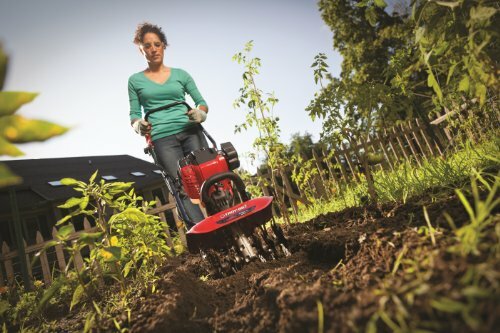 The Troy-Bilt TB146 EC Cultivator is backed by a 2-year limited warranty. 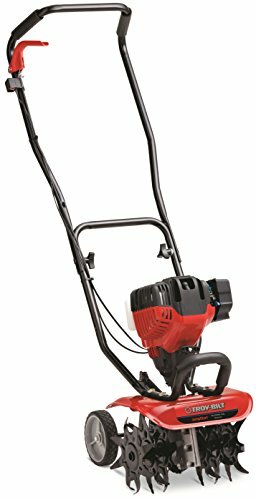 If you have any questions about this product by Troy-Bilt, contact us by completing and submitting the form below. If you are looking for a specif part number, please include it with your message.